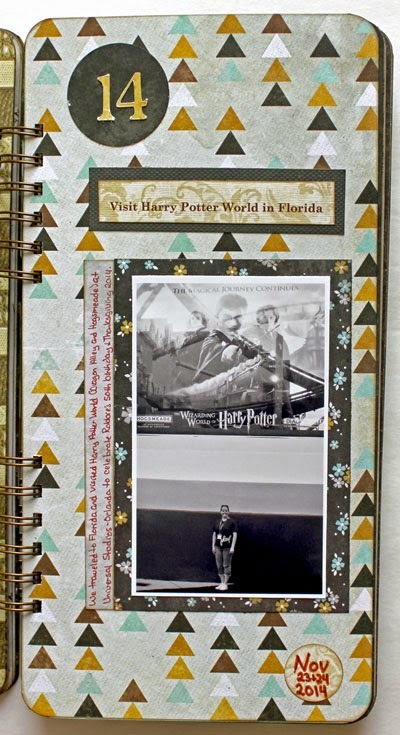 Item number fourteen on my 50 Things To Do Before I'm 50 list (Visit Harry Potter World In Florida) is complete! 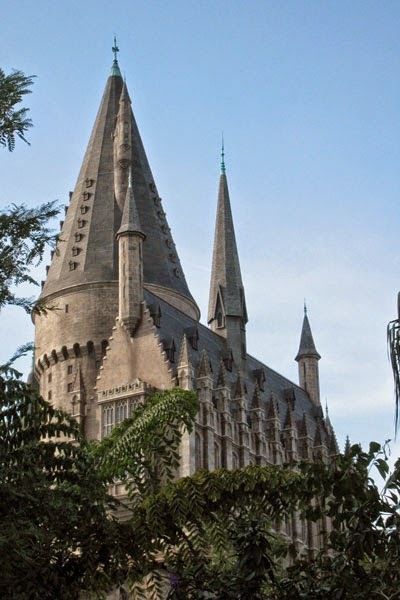 Our trip to Florida last month to celebrate Robbie's birthday was planned so that we could visit Harry Potter World at Universal Studios in Orlando. 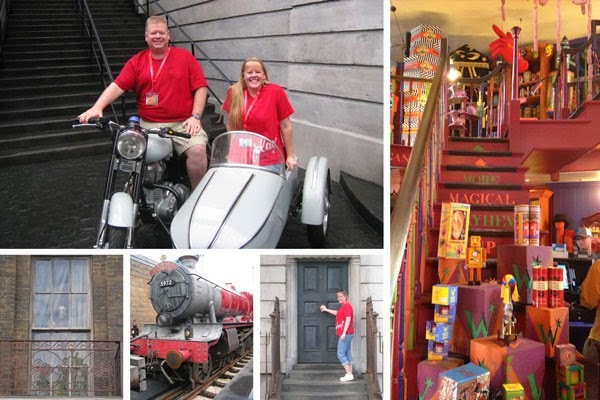 Harry Potter World actually consists of two areas - Diagon Alley at the Universal Studios park and Hogsmeade at the Islands of Adventure park. 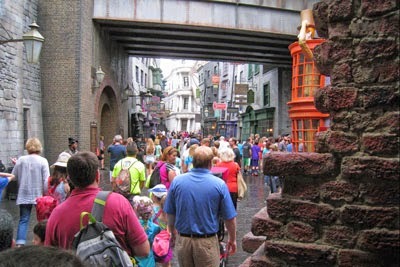 We had early admission to Diagon Alley, along with lots of other folks! 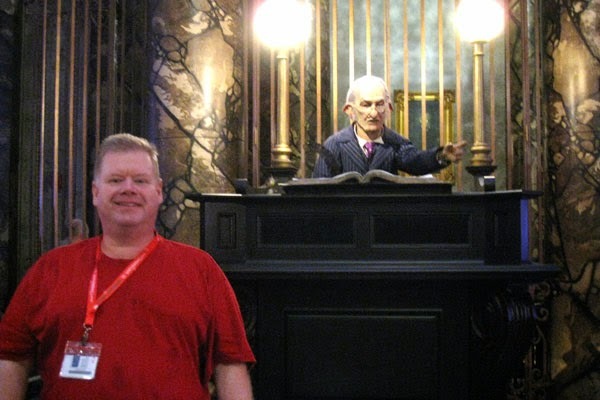 We followed the early morning crowd into a very long line for the Escape From Gringotts 3-D ride. The line snacked along through some fabulous Gringotts exhibits, and the ride itself captured Harry, Hermione and Ron's adventure as they escaped from Gringotts! 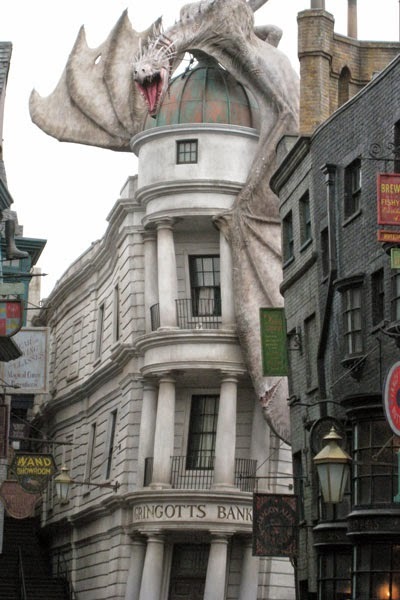 Our favorite views were of the dragon atop Gringotts . . .
. . . and Hogwarts. 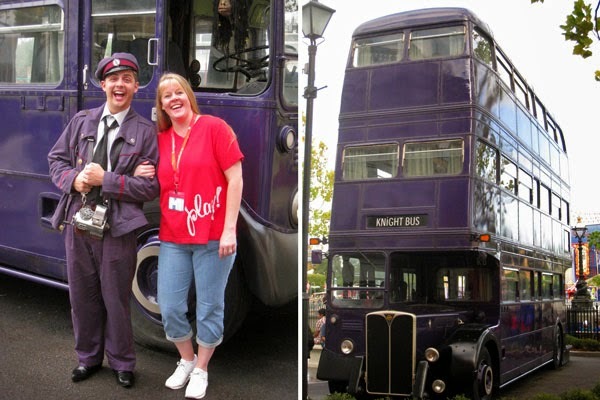 We also enjoyed seeing the Knight Bus and chatting with the Conductor. We had lots of FUN when we entered Platform 9 3/4 and rode the Hogswart Express back and forth between the two parks, knocked on the door of 12 Grimmauld Place (no one answered, but we saw Kreecher peeking out of the upstairs window), picked up a few items at Weasleys' Wizard Wheezes store, and had our photo snapped on Hagrid's motorcycle with the sidecar. Our favorite part of the visit was when we went back to Diagon Alley late in the day, after dark, and discovered that we had missed Knockturn Alley! 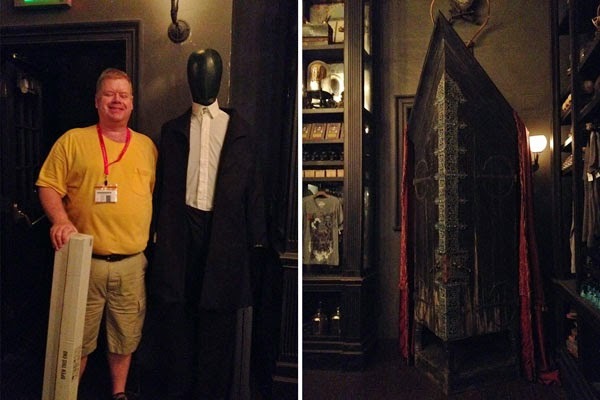 We found the vanishing cabinet at Borgin & Burkes, where Robbie picked up a replica of Lucius Malfoy's wand. 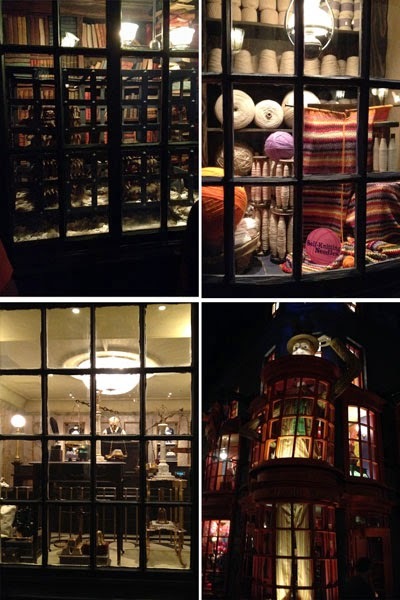 We were also able to stroll through Diagon Alley and enjoy the window exhibits that we had missed earlier due to the crowds of other visitors during the day. 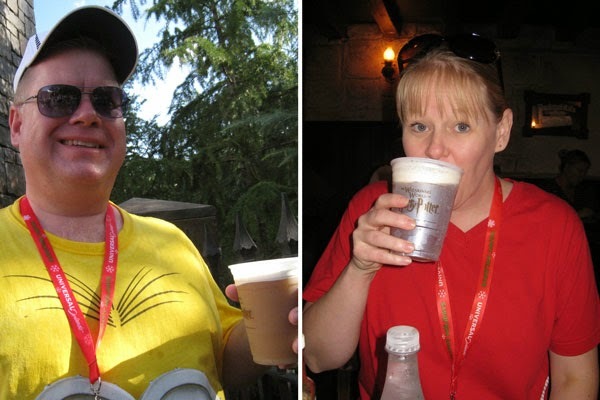 We both thoroughly enjoyed visiting Harry Potter World, and I'm excited to check off another item on my 50 Things To Do Before I'm 50 list! 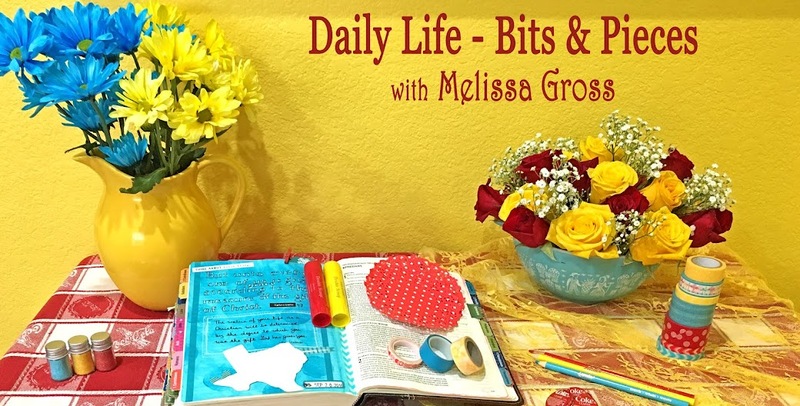 I added a photo, the dates, and a couple of lines of journaling to this page in my 50 Things mini-album. My daughter Sarah went with friends back in August and loved it. 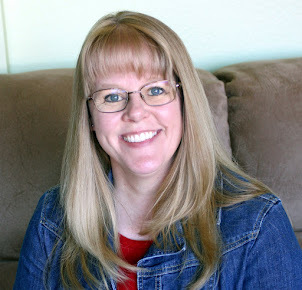 I was a bit jealous that I didn't get to experience it with her as she and I read the Harry Potter books together when she was young. Got the first book when she was around 8 and the last one the year she was graduating high school! Glad you enjoyed it. I need to go back to Harry Potter World. We went before they had the train and the second park. Looks like you had a wonderful time. I do enjoy seeing you check off your items on your list. I love how you're ticking things off so well your list. 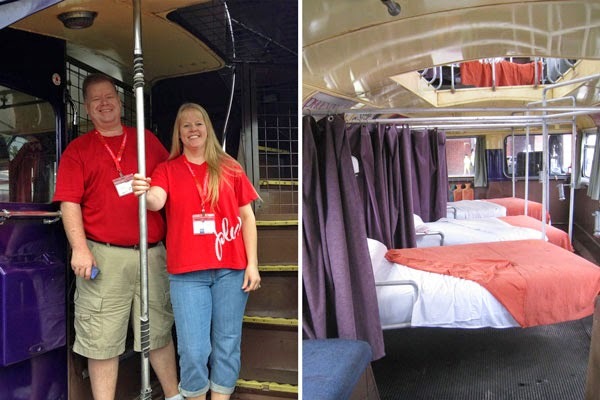 We went earlier this year and absoultly loved it. I've yet to scrap my photos of our day. You're doing a great job of getting to those items on your list. Your photo makes me wonder what the lines must be like when you don't have early admission! Oh so glad you got to go back and enjoy the windows and bits you've missed. One of the reasons we spend the whole day at such places. Glad you've ticked off another of your 50 goals too. That really sounds like a fun place! I am probably the only person on the planet who did not read the Harry Potter books or see any of the movies. But the time period of the park appeals to me. If I get a chance to visit, I just might have to read the books first! It's so nice to be able to check off something from the bucket list!